The QwikLane automated highway system can be entirely funded without any tax money whatsoever. Instead, the system users will pay tolls that generate returns more than adequate to attract private investors. 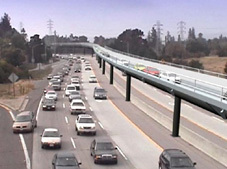 Unlike conventional highway systems and public transit, which both rely to varying degrees on taxpayer dollars, the benefits of an automated system are such that some of the revenues generated can be returned to the communities where it is located to help subsidize transportation or other needs as locally determined. As noted elsewhere, the elevated QwikLane is typically built along the existing highway right-of-way, so the income shared with the community is a form of rent for the air rights – unused space that generates no income today. This assertion – that the QwikLane will be both self-supporting and a source of funds invested back in the community – runs counter to most of our experience with transportation projects. Indeed, “transportation funding” based on taxpayer revenue is a frequent topic for ballot initiatives and among legislators and their constituents. The historical necessity of public financing for transportation infrastructure derives from technology limitations and, in some cases, insufficient benefits for individuals to pay the full cost of a particular transportation mode. The benefits that the QwikLane confers on users combined with new technologies make possbile a shift to private financing in the transportation funding paradigm. QwikLane Benefits Case: Learn how the QwikLane solution provides benefits to users that far exceed the cost of tolls. The Transition Problem: It’s a classic chicken-and-egg problem. Who will buy automated vehicles if there is limited infrastructure to use the features? Who will build the infrastructure if there are few cars locally to use the new system? Good questions. Consider the possibilities here. Automation Benefits: Examine the totality of benefits that accrue to the QwikLane system user. Competition: Review available alternatives for dual mode, automated transportation.